In case you haven't caught on to the latest "in" thing for Giants fan, here's your chance to catch up. Rookie Brandon Belt is not only a fan favorite, he now has a new nickname and it comes with head gear. Belt is coming to be known as the baby giraffe. It started out as a simple comment by announcer Duane Kuiper after Belt chased down a fly ball. He quipped that Belt looked like a baby giraffe as he wobbled a bit to get to the ball. Belt is 6'5" and only 220 pounds with long legs and a long neck, so he fits the bill. 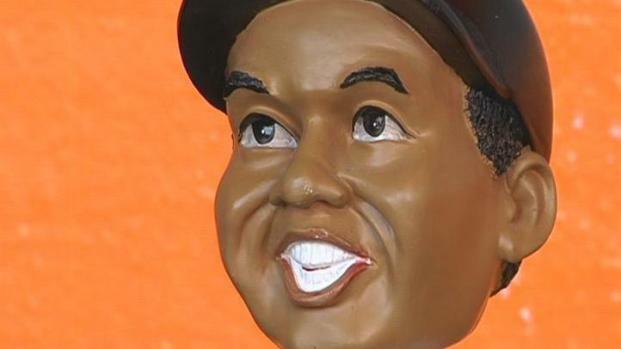 The modern history of the bobblehead begins in the Giants final season at Candlestick Park before moving to China Basin. Now, people, including Belt, are embracing the name. A woman in the stands wore a giraffe hat to Wednesday night's game and got lots of attention from the announcers on Comcast. Be ready to see more of those giraffe hats starting in the Houston series. 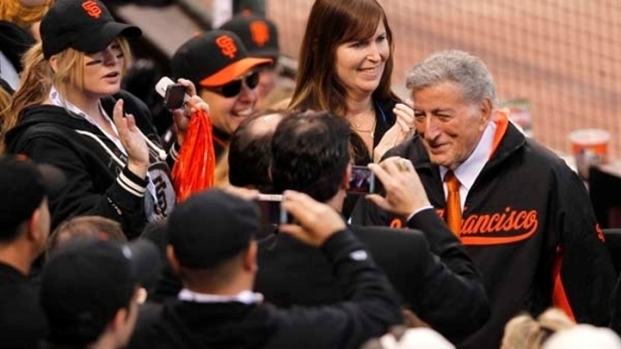 Going to a Giants home game can often mean also taking part in one of the many special events held during the season. 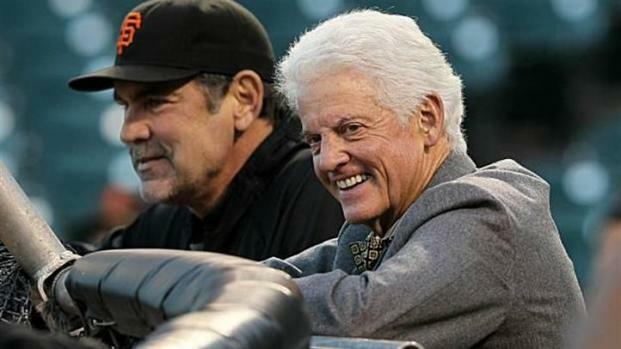 Kuip makes one remark during a broadcast about me looking like a baby giraffe – I guess I looked a little wobbly chasing down a fly ball in the outfield — and everybody loved it. Now I see signs all over. Even when I was down in San Jose and Fresno, I saw Baby Giraffe signs. My wife Hayley thinks it’s hilarious. When I was a kid, girls use to tell me I looked like a monkey. I’ve been called animal names all my life. So as you might imagine, I like Baby Giraffe a lot more. Belt said in that same blog that he knows he needs to take the game seriously, but no t himself. Giants Managing General Partner and CEO Bill Neukom talks about The Giants' Way. He told Showtime's "The Franchise" that he is also known as "the most awkward man in the world." Belt's family showed they had a sense of humor about the whole thing when they all showed up to the game in Houston last weekend wearing tshirts that read "Keep Brandon Awkward." There was a cartoon of a giraffe on the shirt.